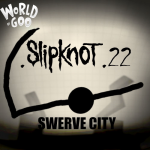 "Swerve City" is a single-only. It's main concept is the irregularity of our life (which is described in the upside down part and irregular things here in this level.) It will not be included in my future chapters and level packs except a compilation. This mod makes the main MapWorldView music to beat mode. This can strengthen or give a good mood to play the game. This addin converts the smooth texture of the Ivy ball into rough. Note: The 2 other colors (which are Red and Black) are archived. 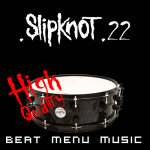 Visit the download tab for you to download them. It is also not an addin with new custom balls thus, it just modifies the look of the ball! This mod makes the three bomb balls filtered (as in smudge stick filter in Photoshop). It makes them look lighter! But it's basically "Cheating" according to the rules cause it changes the original properties that makes the game play easier. KnoT For Long is the third single level from 'The Red Mist'. "A Far, Long Way"|"KnoT For Long"|"Swerve City"
"A Far, Long Way" is my 13th single level and second from the chapter The Red Mist. "Rotary Club"|"A Far, Long Way"|"KnoT For Long"
"Rotary Club" is the third single level released for the chapter .5: The Gear Chapter. The level is a combination of concepts from 3 previous levels from the chapter Black n' White. In the chapter, "Rotary Club" is the 6th level in the sequence. 2 bonus levels are added. .5: The Gear Chapter is my fifth chapter and the last chapter to feature gg alive. This is my first chapter based on destroying geometry. The chapter took influences from goomatz “two-strokeengine” and MOM4Evr’s “Gravity Hole” and many more. Gg and I made this chapter to a successful one, hitting 40 downloads on its first day, despite the fact that it is the chapter with the most bugs. This chapter was supported by 3 single levels, “Geargiarsenal”, “Weight Regulation” and “Rotary Club”. "Weight Regulation" is my 10th single level. It served as the second single level for .5: The Gear Chapter. Geargiarsenal level from .5: The Gear Chapter. It is featured as the first level in it. This level was released simultaneously with the teaser video i made for the chapter. It is featured in The KnoT Fest level pack.